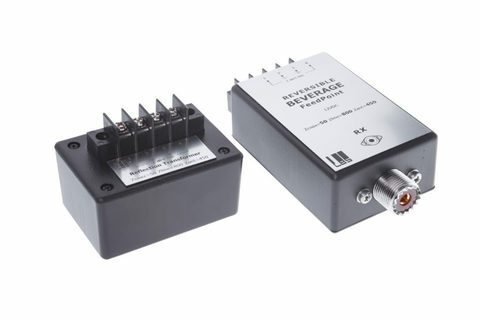 LowBandSystems Reversible Beverage antenna used to receive in opposite directions using single transmission line as antenna element. 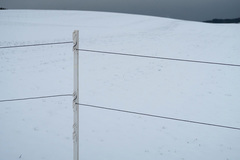 This transmission line can be a Coax cable, Twin-lead cable, Wide spaced parallel-conductor transmission line or close spaced parallel-conductor transmission line like military field telephone wire nown as WD1A, Killu wire, П-274 etc. 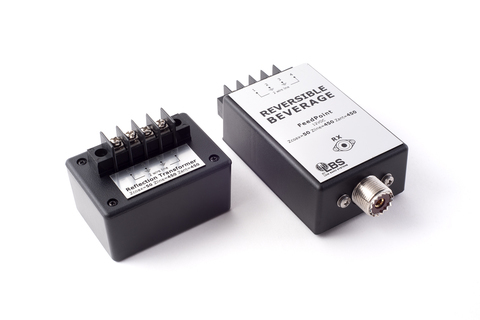 Reversible Beverage antenna provides excellent front-to-back ratio, and superior signal-to-noise ratio as compared to transmitting antennas. 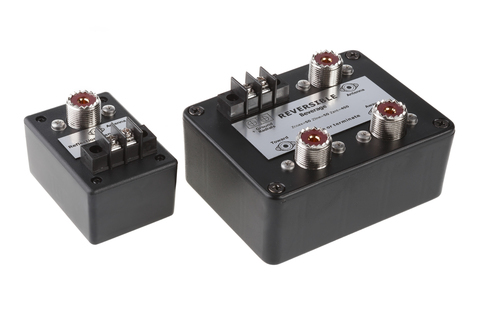 RB2, Single output matching unit, provide two opposite directional patterns by switching. 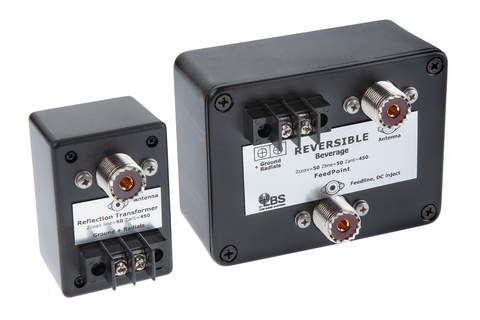 Applying a 12-15 Vdc to the feedline reverses the direction of reception. 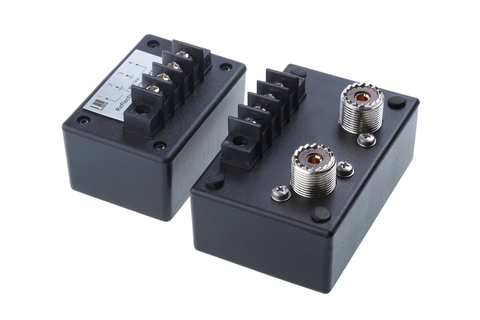 RB2/2, Dual output matching unit, provide two opposite directional patterns on two antenna connectors. For simultaneous reception from opposing directions, each of the two feedlines can be run to receive antennas distribution switch system or separate receivers. LowBandSystems Reversible Beverages are manufactured in 50 and 75 omhs designes, (optimized transformers) as well as all other relay switches, filters, preamplifiers and distribution systems components. LowBandSystems Reversible Beverage Systems offer great flexibility in building high performance two-direction wire Beverage receive antennas multi directions and distribution.